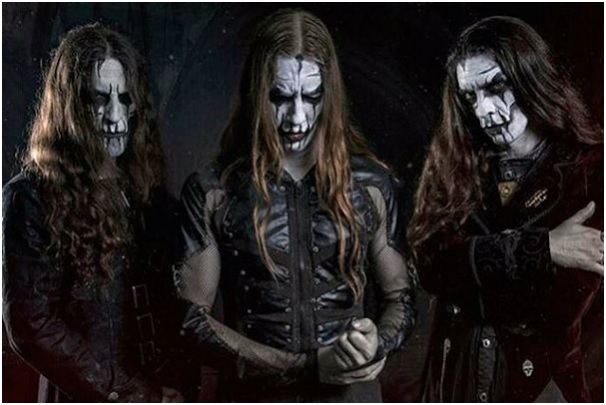 The Dutch symphonic black metal band Carach Angren had took the heavy metal world by surprise in 2012 with their excellent pinnacle album ‘Where The Corpses Sink Forever’. Unlike many of their peers who focus almost exclusively on the cliched carousel of Satan, Nazis and obtuse blasphemy, Carach Angren explore the much darker elements of the human psyche and following on from the harrowing themes placed down in ‘Where The Corpses…’, the band continued to pursue this with their 2015 album ‘This Is No Fairytale’. Carach Angren are no stranger to overarching creepy narratives and with ‘This Is No Fairytale’, the band take a step away from the demonically tortured soul presented during the bands previous album and instead, the band take on the more scarily realistic themes of child, drug and alcohol abuse furrowed through a black metal take on the Germanic folklore tale of ‘Hansel and Gretel’. This creates an interesting duality in the bands album, one which runs along a superficial level of a broken home and abuse, explored during tracks such as; ‘There’s No Place Like Home’, ‘When Crows Tick On Window’’ and ‘Tragedy Ever After’, to the tracks which build up the story and begin to interweave themes from ‘Hansel and Gretel’. However, scratching below that surface shows the band dig into much darker themes including schizophrenia, child abduction, cannibalism and even the fantasy worlds created by abused children to escape the horrors of their daily life. 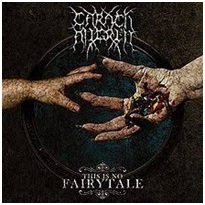 Musically, ‘This Is No Fairytale’ does not stray away from the blueprint already laid down by Carach Angren and because of this, ‘This Is No Fairytale’ offers little more to the bands cannon other than another album in their catalogue. Yes, the album is dark and contains all the ideas the are expected to be explored with the band; it contains the rhythmically intense drums, sublime orchestral arrangements and the gruelling growls of Seregor, but ultimately, it falls just short of its predecessor. However, ‘This Is No Fairytale’ is a great album and there are many aspects which can be hugely enjoyed.